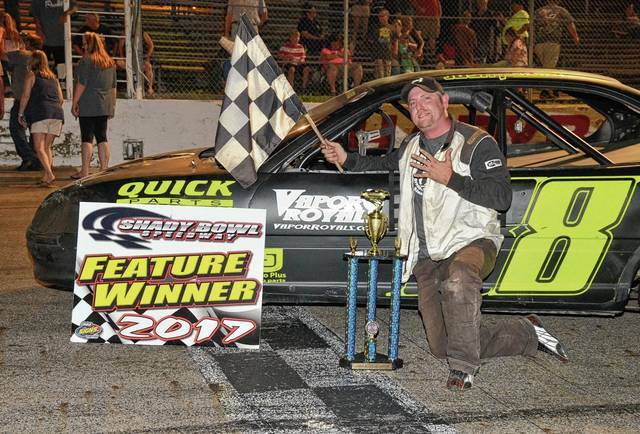 DeGRAFF – Barring inclement weather, it will be double points night in all divisions Saturday at Shady Bowl Speedway. In the late model class, Don Mahaffey has a 51-point lead over former track champion Matt Parsons. The modified point lead is a very tight race. Brian Brandyberry leads Shane Shirk by just a single point. Logan McPherson is in third place, only 10 points behind Brandyberry. Five-time track champion Rodney Roush sits atop the street stock points. Jacob Muncy is second, 34 points behind Roush. The pure stocks are also in a tight race, with Zach Doolin leading 2016 champion Jason Purtee by just three points. Josh Foltz has a comfortable 34 point lead over Cody Wynn in compacts. The super compact class is led by defending track champion Terry Eaton Jr. He holds just a one-point lead over Austin Eaton. The spectator drag division shows Bob Brown with a five-point lead over Chad Owens. All classes will be in action Saturday. Racing will start at 7 p.m.